Information sharing is crucial in agriculture and its importance has been felt since the commencement of the agricultural era. People, previously, used to seek personal contact for gaining and sharing information about the market prices, stability, new crop varieties, weather conditions, innovative production technologies, and what not. Newspapers, mobile SMS services, radio talk programmes, smartphone applications, etc. are some of the most used ICT tools in agriculture that have already made a huge impact on agriculture of developed countries. Even in Nepal, these tools have started to make agriculture fancier, easier and attractive for people.Today, in Nepal, wireless network connection is available in every district and thanks to globalization, smartphones and internet connection has started being common among the Nepalese farmers too. Realizing the importance of ICT in agriculture, some innovative minds in Nepal have already started exploiting this technological boon for making agriculture easier, fancier, and attractive to young people. The “Kisaan Call Centre” initiative by AgriCare, smartphone apps like Krishi Ghar, Smart Krishi,IFA-Krishi Nepal etc. 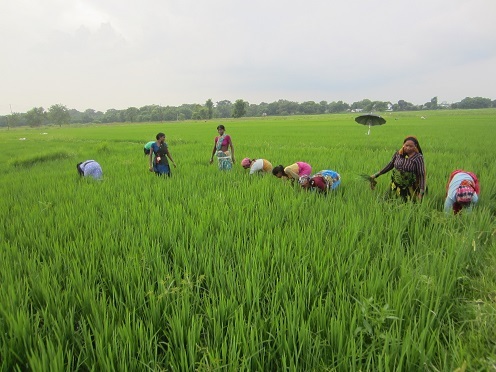 are some examples of smart agriculture information sharing initiatives in Nepal. Keeping this in mind, AgriYouthNepal is organizing an open blog article writing competition with the theme “ICTs in Nepalese Agriculture”. The competition theme is broad and one can write article about opportunities and challenges, present context of ICTs and its use in agriculture research and development, showcase of ICTs based projects or presenting ideas about ICTs for Agricultural development. If you are interested, please submit your blog article filling the registration form. The deadline for the submission is July 31. All the submitted entries will undergo jury selection first and selected articles (5 blog articles) will undergo public voting. Top two blogs will be awarded based on number of votes on the article. Winner and runner up will be awarded with NRs 5,000 and NRs 3,000 respectively. Winners will also receive certificate of appreciation and brand new T-Shirt of AgriYouthNepal. This contest is open for Nepali citizens (15-40 years). Word limit: Maximum 800 words. At least one relevant picture/photo attached with the article with its source. A photo of the author along with the article. Article should not contain material that is inappropriate, obscene, indecent, hateful, tortious, defamatory, slanderous, libelous, unlawful or otherwise offensive. August 12 Deadline for public voting and declaration of the winner with the runner up. To submit your blog post, please click here. Post source, AgriYouthNepal. The 2015 Clinton International Summer School, in partnership with the INCORE Summer School at Ulster University. is a one-week intensive scholarship program for university students from post-conflict and developing regions. The curriculum is designed to promote entrepreneurship, leadership and community engagement and prepare the students to advance positive change and economic development in their home communities. The program provides the participants with a unique opportunity to experience first-hand Northern Ireland’s historical conflict and that region’s continuing road to reconciliation, peace and prosperity. The students are required to identify in advance an entrepreneurial or technology project that would improve the economic and social conditions in their home region. The module is run in partnership with the Nerve Center and under the auspices of the newly launched PeaceTech.Lab. Students are expected to submit a final report on how they would implement their project, based on what they learned in the Summer School. Soil constitutes the foundation of agriculture and thus provides us with food, fiber, feed and fuel. Soil provides ecosystem services critical for life: soil acts as a water filter and a growing medium; provides habitat for billions of organisms, contributing to biodiversity. Besides, almost all of the antibiotics we take to help us fight infections are obtained from soil microorganisms! Humans use soil as a holding facility for solid waste, filter for waste water, and foundation for our cities and towns. It is the greatest pool of soil organic carbon and regulates the nutrient cycle. Due to the importance of sustainable soil management for present and future generations,the 68th session of the United Nations General Assembly has declared 2015 as the International Year of Soils with the aim to raise awareness about this forgotten natural resource. By launching this photo contest, YPARD aims to engage young people into the discussions around the importance of soils. Pictures related to soils, sent by YPARD members from around the world, will help illustrate the importance of this key thematic area of FAO´s work, from the youth’s perspective. Participants will have one month to submit up to 3 pictures to info@ypard.net with subject line “Photo-calendar contest”. Pictures must transmit the potential, contribution and importance of healthy soils in the food system according to young professionals in agricultural development. Send your pictures to participate in the “Soils through Youth´s Eyes” photo-calendar contest by December the 14th, 2014 (11pm CET). All the photo entries will undergo a jury’s selection first. The public will then vote among the best 24 pictures, from 19th of December to 26th of December, through a photo album created on YPARD Facebook page. There will be two photos spotted for each month. E.g. 2 pictures for January, 2 pictures for February and so on. YPARD Facebook users will be able to vote the picture they like the most for every month by “liking” it. The 12 most-“liked” pictures will be chosen to feature our “Soils through Youth´s Eyes” photo-calendar for 2015. The YPARD “Soils through Youth´s Eyes” photo-calendar will be posted on our e-library. The jury of the “Soils through Youth´s Eyes” photo-calendar contest will be formed by a YPARD member staff with the support of a photographer. The best 12 images will be announced as winners on YPARD website on the 28th of December, 2014 and will be awarded with their featuring on the 2015 YPARD “Soils through Youth´s Eyes” photo-calendar. The winning photos will be also published (photo credits included) on FAO Global Soil Partnership’s website. Entrants should be between 18-40 years old and must have taken the photograph themselves. Photographs may have been taken at any time prior to the contest launch. Photographs should not have dates or text on the image. Each participant can send up to three photographs. All photographs should be in jpeg format. Along with the picture, participants should add the following information: name, surname, date of birth, email, title and description of photograph, location and date when photo was taken. File size: Minimum size is 1500 x 2100 pixels; min 300dpi; up to 5 MB. Image data files should be created with digital smartphones and still cameras (including medium and large-format cameras). Winning entries may be reproduced for possible inclusion in future International Year of Soils promotional materials. Entry in this contest represents consent to use the photo in future publications without further compensation. This content was originally posted on YPARD‘s website. The fifth Global Environments Summer Academy on Socio-ecological Interactions in a Dynamic World will be held at the Centre for Development and Environment (CDE) of the University of Bern between 27 July and 14 August 2015. Under the leadership of Dr. Gary J. Martin, the Director of GDF, academic and community professionals from diverse backgrounds will be invited to present their current perspectives and practical work. Please see the GESA 2014 Schedule for a sense of the general curriculum. For more detailed descriptions of GESA schedules and sessions, click here. Participants will actively interact with selected resource people throughout the course. You can support this initiative by liking the Global Environments Summer Academy Facebook page or contributing to our GlobalGiving fundraising campaign. To receive updates via the GESA newsletter, sign up here. 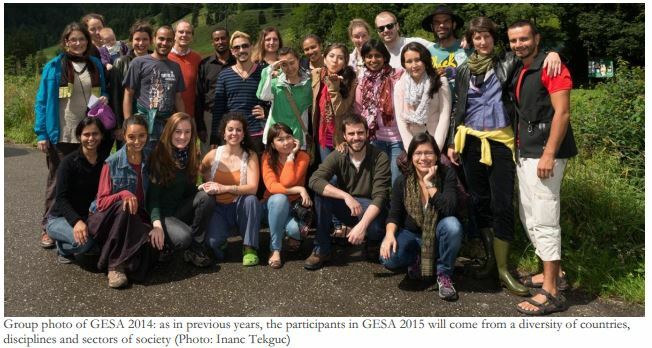 Please note there is a two-stage application process for GESA 2015. Candidates are invited to complete the application form and upload their CV before 15 January 2015. All applicants will be notified of the first stage results by 15 February 2015, and finalists will be invited to the second stage, during which they will be asked for additional information, including any demonstrated need for the limited number of partial fee waivers that may be offered. The additional Stage 2 submission will be due by 15 March 2015. A final selection of participants will be completed by 1 May 2015, and applicants will be informed of the award of any fee waiver by 1 June 2015. The deadline for payment of the academy fee will be 15 June 2015. The United Nations declared 2014 the International Year of Family Farming (IYFF) with the slogan “Feeding the World, Caring the Earth.” To mark the IYFF and on occasion of the World International Youth Day, YPARD Nepal, in collaboration with AgriYouthNepal (AYN) and Nepal Agricultural Cooperative Central Federation Ltd. (NACCFL), announces “YPARD Nepal Family Farming Photo Contest.” A competition from all Nepalese citizens with the goal of giving a stronger voice to family farmers as well as the recognition they deserve for their key role in the construction of a food secured future. In line with the IYFF objectives, photo entries from smallholders on agriculture, livestock production, food security, landscape management, youth and gender equality in family farming are highly encouraged. Pictures must transmit the strength, potential, contribution and challenges that family farmers meet in their daily lives. Each individual can submit up to 3 pictures to the contest. The photo contest begins on the 12th of August 2014 and ends on the 11th of November 2014. To participate in the photo contest, click here. All the photo entries will undergo a panel judgement first and then the public will vote among the best 20 photos (25 November to 15 December). From top public choices, the first (NRs. 20,000), second (NRs. 10,000) and third places (NRs. 5,000) will be selected on the 20th of December 2014. The winners will be awarded on the National Youth Forum on Agro-based Entrepreneurship Development (#NYFAED15) in January 2015, and will be published on NYFAED15 proceeding, YPARD, AYN, NACCFL and 2014 International Year of Family Farmingwebsites. For any inquiries, email us at iyffcontest@gmail.com. Involved in forestry and passionate about the role youth play? Passionate about finding creative solutions to big challenges? 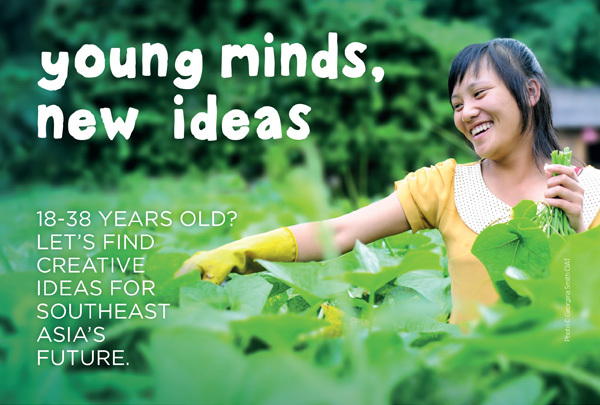 Then you are just the person we are hoping will register for the youth session at the Forests Asia Summit! What is the youth session at the Forests Asia Summit? Youth are getting increasingly involved in policy and research efforts across the forestry and development sectors. Despite this, we are still seeing the same tired conference format of presentation after presentation with a lack of deep discussions and actionable outcomes. At the Forests Asia Summit on Monday May 5, we’ll be bringing together the best and brightest minds from Southeast Asia to talk about the future of the region’s forests. We want young people at the forefront of this summit to identify new ways we can tackle major forestry issues and how youth can help drive such solutions forward. Click here for more information about each theme. 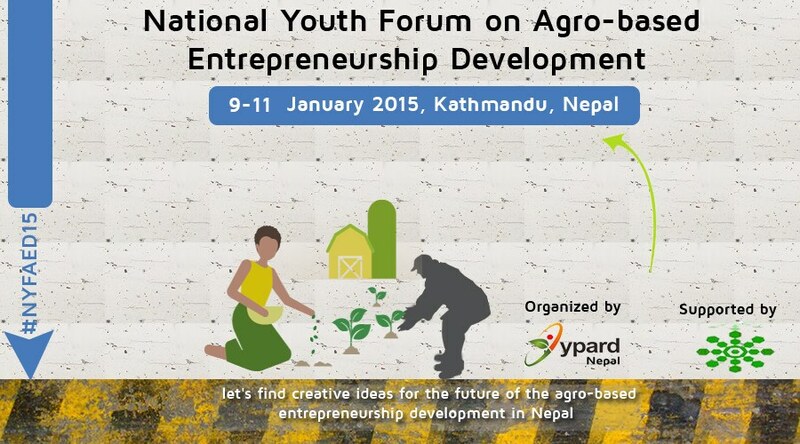 YPARD Nepal is a branch of YPARD working voluntarily for the upliftment and enhancement of agriculture in Nepal. With successful university level awareness programs, YPARD Nepal wants to extend its arm and raise new voices for the common fight of agricultural prosperity. YPARD Nepal now opens membership for 20 volunteering members to organize different programs as discussed on year roung planning of YPARD Nepal working group. The team will help local representatives and national representative of Nepal to organize and involve in our upcoming program like Mushroom Cultivation, farmer’s field trips to feature successful stories, promotion of youth through “Youth of the Month”. To enhance, attract & motivate youths towards agriculture. To build technical capacity among youths regarding agriculture and research activities. To execute agricultural know-how on local and practical basis. To disseminate the opportunities and events of the international and national platform to enhance youths towards ARD. 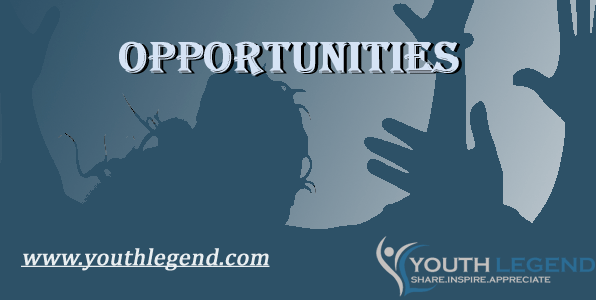 The applicant should be active member of YPARD-Nepal and below 40 years of age. S/he should have a genuine understanding of YPARD mission and objectives. Deadline for submission of membership form is 25 Dec 2013. 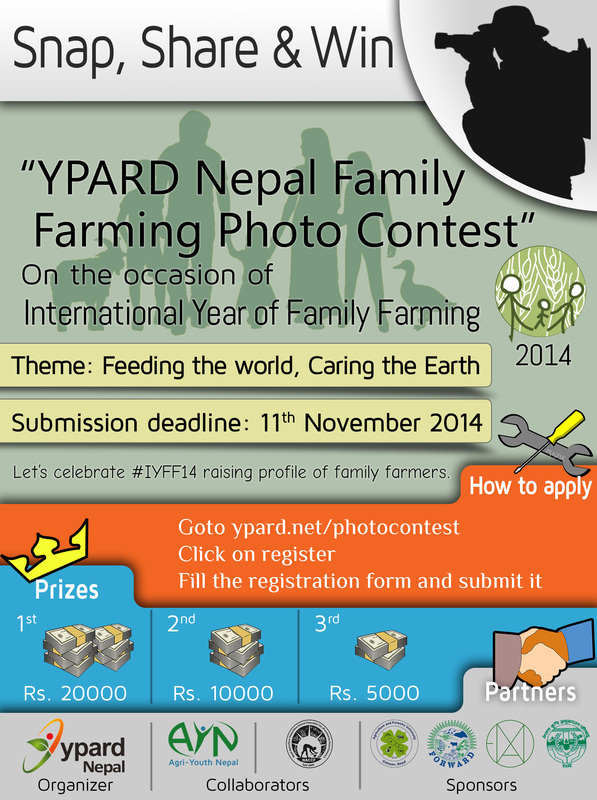 Please submit the form by email to ypardnepal@gmail.com. Incomplete or tardy applications will not be considered. Make sure you are registered on www.ypard.net. SERVIR-Himalaya Youth Forum-“Empowering Youth with Earth Observation Information for Climate Actions in Nepal” which will be held from 16-20 December 2013 in Kathmandu, Nepal. Climate change is one of the most critical global concerns today with the younger generation expected to face enormous challenges in future. It is therefore important to create awareness among youth and actively engage them in the areas of preparedness, risk reduction, adaptation, and mitigation. Youths not only have innovative ideas and knowledge, but also possess abundant energy to undertake local actions. They can be the proverbial agents of change and act as effective communicators in their communities and in the regional and international arenas. Earth observation is proving to be a vital tool to improve our understanding of climate change. In this context, the International Centre for Integrated Mountain Development (ICIMOD) is implementing the SERVIR-Himalaya Programme supported by the National Aeronautics and Space Administration (NASA) and the United States Agency for International Development (USAID) with the goal to improve environmental management and resilience to climate change. The SERVIR-Himalaya science applications include the areas of cryosphere and water, ecosystems and biodiversity, agriculture and food security, disaster risk reduction, and air quality monitoring. Information derived from earth observation helps visualize the impacts of climate change and take appropriate actions. The SERVIR-Himalaya Programme is putting increasing emphasis on education and exposure of innovative tools and technologies to youth that will enable rapid response on issues related to climate change in the Himalayan region. ICIMOD is internationally regarded as a regional resource centre for geo-information and earth observation application with a specific mountain focus. In particular, it has worked with both national and regional partners to provide access to data and information, to integrate analysis and modelling, and disseminate information through interactive mapping and spatial visualization. ICIMOD makes continuous efforts to enhance capacity of its member countries, and has a special focus to inspire youth to use earth observation information and geospatial technologies. The Asian Institute of Technology & Management (AITM) offers high-quality national and international level educationaal programs in Nepal. Managed by experienced educationists and professionals, AITM wishes to be a positive agent of change by engaging youths, within the country as well as regionally and internationally. The Institute aims to be a ‘Centre of Academic Excellence’ by blending research into pedagogy. Its current expertise include climate change, aquatic ecology and biogeochemistry, hydrology and water resources, groundwater, nexus research, water-related disaster risk reduction, water-sanitation-hygiene, geospatial solutions (GIS and remote sensing), biotechnology, and management (business and hospitality). This Youth Forum is being organized by ICIMOD in collaboration with AITM and the Nepal GIS Society and is part of the SERVIR-Himalaya Initiative. The main aim of the Youth Forum is to raise awareness and empower youth in Nepal on the use of earth observation information and allied technologies for climate actions. · Increase the visibility of SERVIR-Himalaya Initiative among youths in Nepal. The Youth Forum targets youths from different professional backgrounds, universities, and colleges in Nepal (20 – 25 years of age) with interest in climate change issues and geospatial science and technology. About 30 to 40 youths are expected to participate in the event. Writers from around the world interested in democratic and economic reforms and their role in development. Past CIPE Essay Competition Winners are not eligible to participate. Up to 750 words. All blog posts must be in English. This year CIPE’s competition is reaching out to the growing global ranks of bloggers. All submissions should therefore be written as a blog entry. Submissions will be accepted both from seasoned bloggers and aspiring ones. You do not need to have an existing blog to apply, but if you are interested in blogging CIPE encourages you to set one up for free using a service such asWordPress, Blogger, or Tumblr. Please use this online form to submit your entry. The submissions must be either unpublished work or previously published on the author’s own blog. Previously unpublished submissions must include the writer’s name in the file name and inside the document. For example, if your name is John J. Smith, the document should be named “SMITH-JOHN.doc”. If the entry is already published on your blog, please provide the URL. You are only allowed to submit one entry. The blog post you submit, where applicable, should include examples from your personal experience relating to the topic. Submissions that only talk about challenges to the issues in general terms, or limit proposed solutions only to what governments should do, will not be successful. We encourage you to submit blog posts that contain a photo or a video to illustrate your message. Photos or videos should be original or, if someone else is the author, properly cited under fair use standards with a link to the source. Authors of the three best blog posts will each receive a $250 honorarium, three runners-up will each receive a $100 honorarium, and three third place winners will each receive $75 honorarium. CIPE will publish all nine winning entries on its blog, which reaches 15,000 readers around the world each month, and also publish them as a part of its Economic Reform Feature Service article series reaching CIPE’s network of over 20,000 contacts worldwide. How can social media empower citizens to participate in a democratic dialogue on constructive reforms? What experiences from other countries can guide the role of youth in your country’s democratic and economic development? What story or personal experience can you share to illustrate the need and possible solutions for democratic and economic reforms in your country?